Where to enter the license key? Sorry. 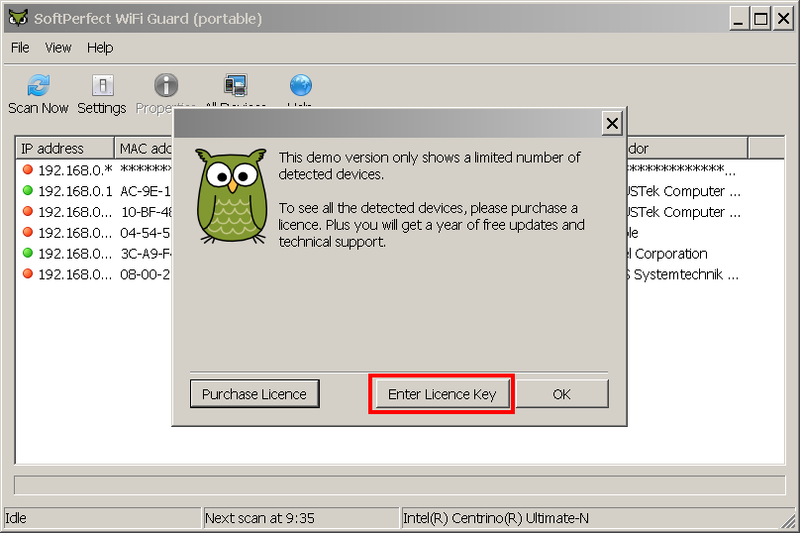 I just purchased WiFi Guard version 2, received my license key, but for the life of me, I cannot find where to enter it on your site. I followed your instructions, but to no avail. It's frustrating. If by chance, you receive this posting and it's July 4th (I think you're in Canada though), please reply. Thank you for your purchase. 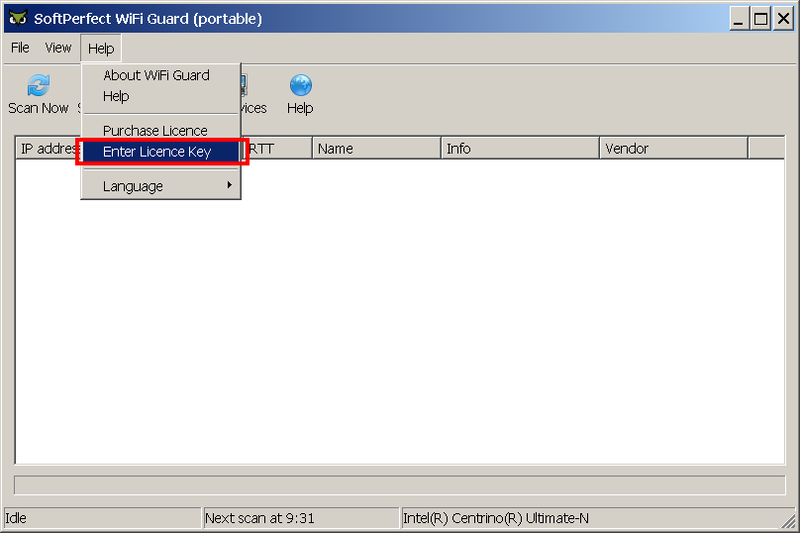 There are two ways to enter a licence key in WiFi Guard. We are in Australia and July 4th isn't a holiday here, but as Australia is in a different time zone, some responses appear after a bit of a delay.